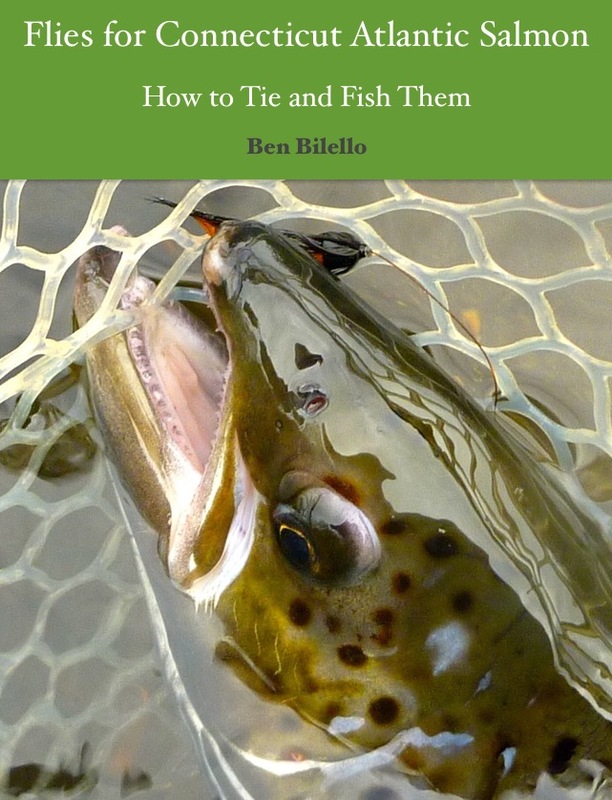 I was first made aware of the scissor folding technique by my favorite Miramichi River guide, Darryl Tucker. 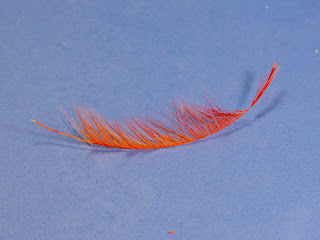 It took Darryl but a few seconds to fold a hackle with his scissors, while it took me much longer to fold one by hand. 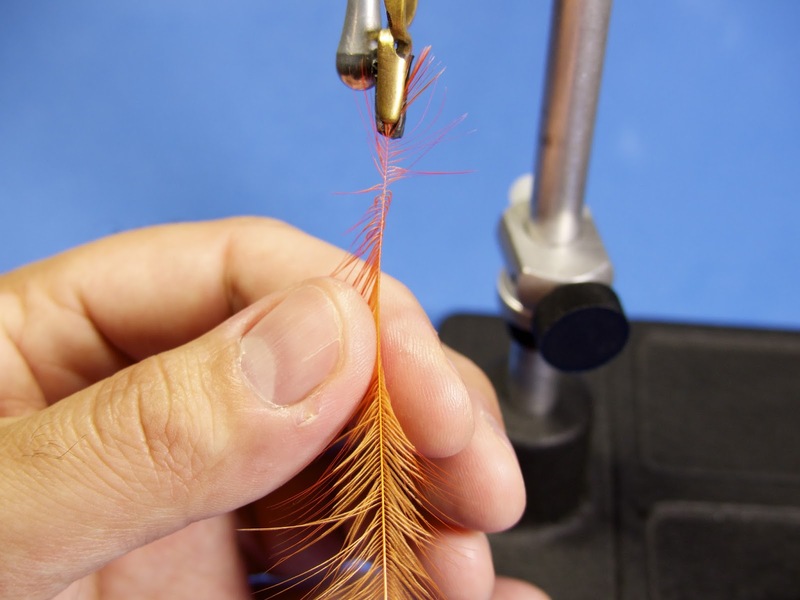 Darryl pre-folds his hackles by placing the tip of the feather in the jaw of his Regal vise. I have seen tyers fold hackles with scissors while the hackle is tied into the fly, but I liked Darryl's method more. 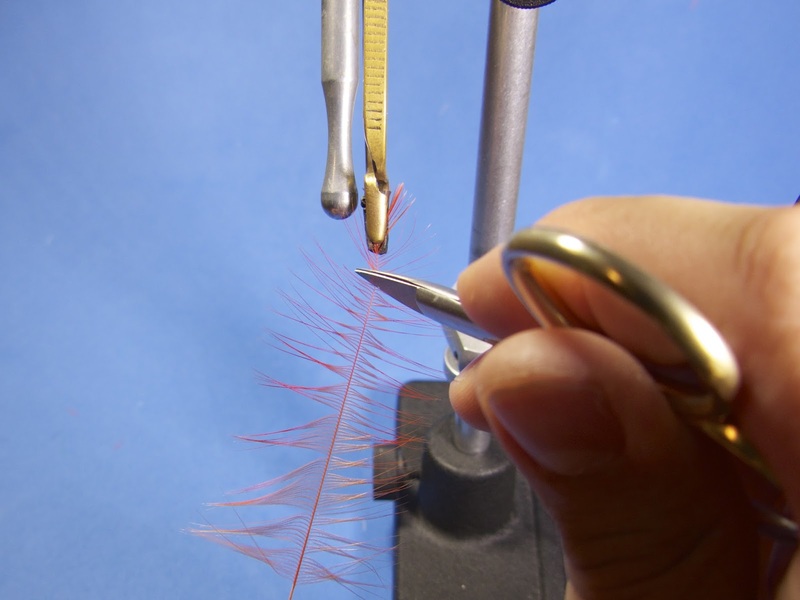 The only thing I disliked was using the vise jaws to hold the hackle. 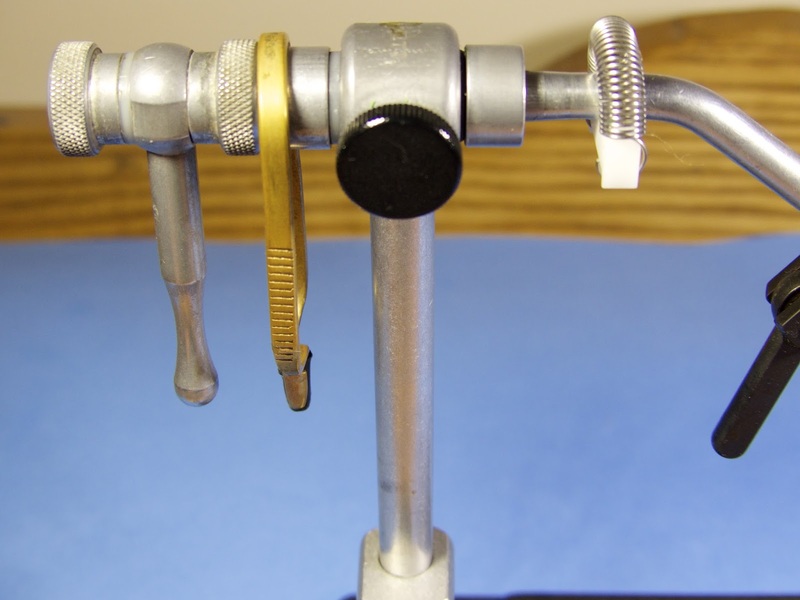 The easy solution to the problem was to use a variation of the "third hand." 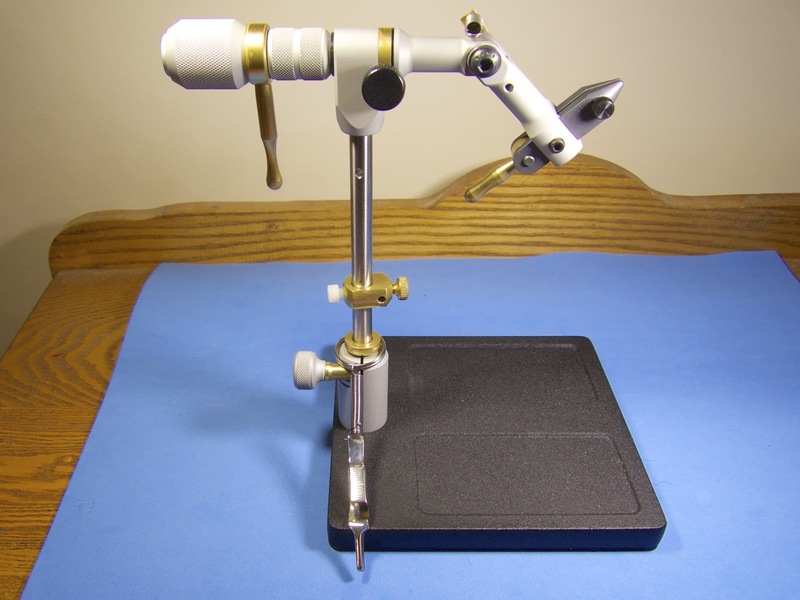 I dangle hackle pliers from the rotary end (cam end on an HMH) of my Renzetti Traveller vise, which frees up both of my hands (see below). I have a set of these brass Dr. Slick hackle pliers on both my HMH Standard and my Renzetti Traveller. 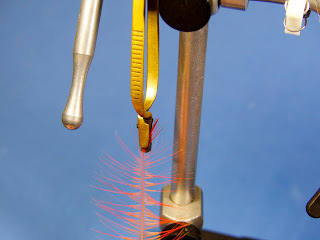 I just purchased a Renzetti Master vise and, unfortunately, the vise shaft is too thick to accommodate this style of hackle pliers. Luckily, I stumbled across a tool called "Swiss pliers w/spring ring." 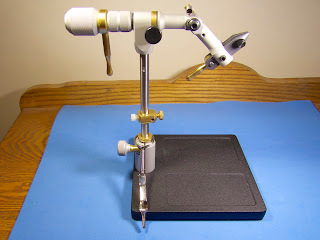 I placed the Renzetti Master's stem through the ring end of the tool. It works great and stays out of my way (see below). Step 5: Use another set of hackle pliers to hold the feather steady.You can use your fingers, but I find the feather rolls less when using pliers. Step 6: Place the tip of your scissors against the hackle stem, just below the upper set of pliers. 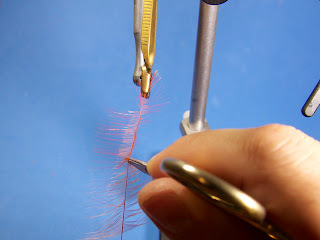 The tips of the scissors should be at a right angle to the barbs. Step 7: Drag the tips of your scissors downwards along the stem. 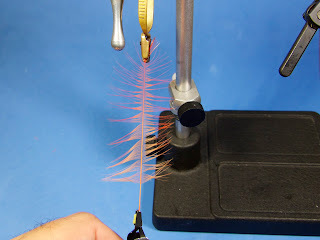 You should feel the barbs "clicking" as the scissors fold them inwards. 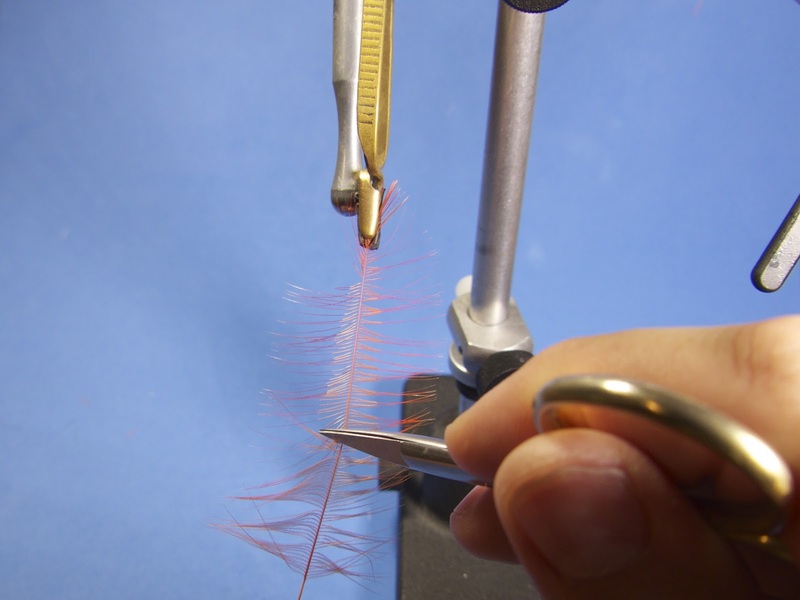 I usually fold with the scissors then, if necessary, make manual adjustments while wrapping the hackle. I tend to stroke the fibers into place as I wrap the hackle. 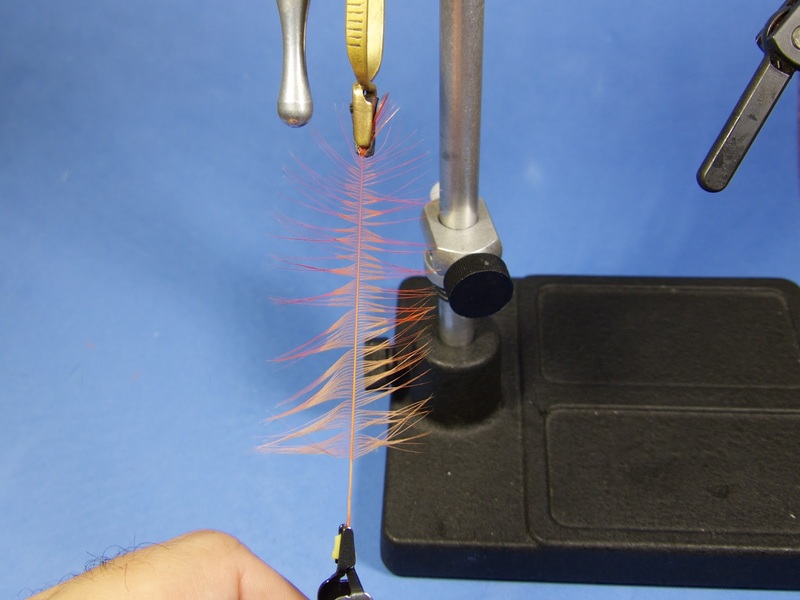 This is a fast and effective way to fold both body and collar hackles. If the hackle is for a fishing fly, I can fold it well enough to use in about 10-20 seconds, plucked off the neck or saddle. 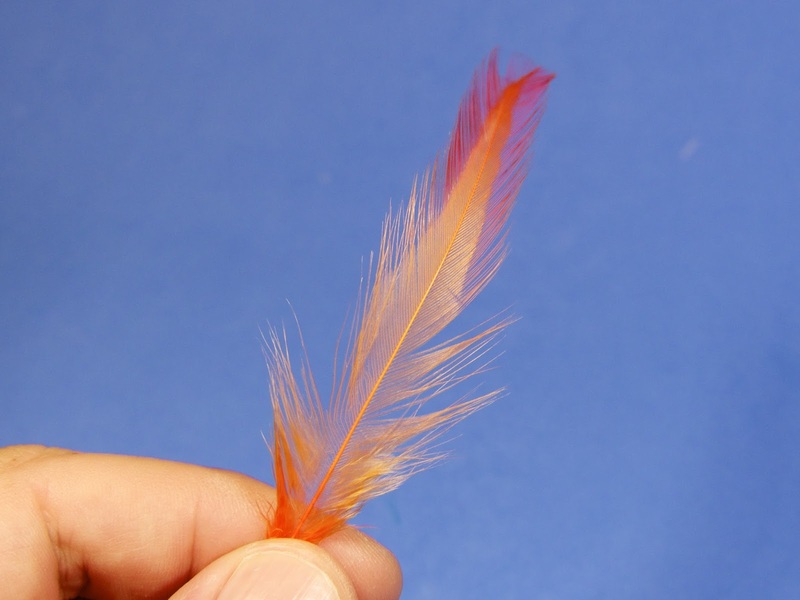 If it's for a show fly, I usually am a bit more careful when I fold. This technique even works with very stiff dry fly hackles, which might be otherwise difficult to fold using only your hands. Give it a try sometime. 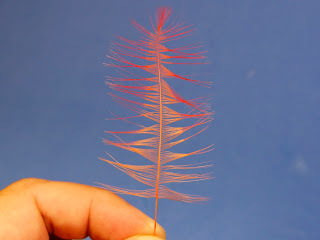 Make sure you feel the feather "click." You'll know what I mean when you feel it happening. 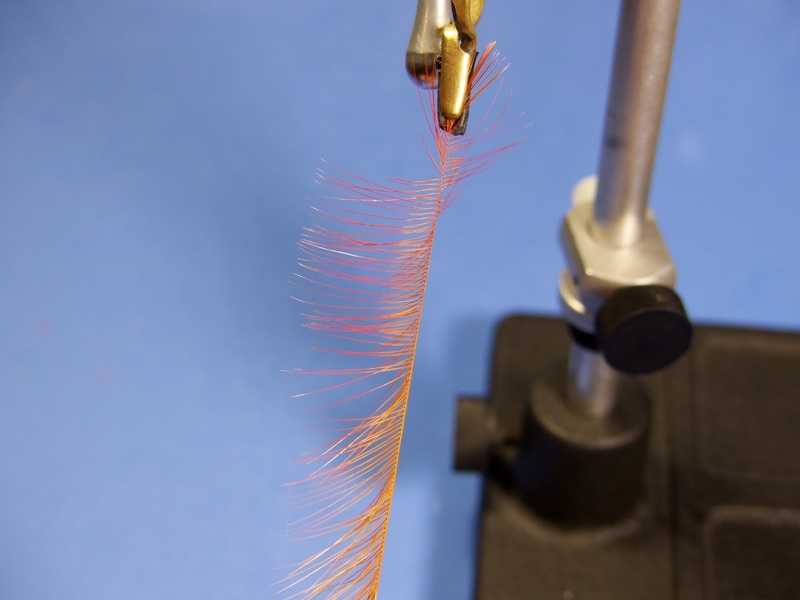 If it's clicking, you're doing something right!